Many Midwesterners take one look at the snowscape outside and see dreariness, yet Nebraskan Russ Finch instead saw a challenge. At his home on the state’s chilly High Plains he has created a geothermal greenhouse which cheaply harnesses the Earth’s heat and produces glowing, juicy citrus fruits all year. “There have been hardly any successful 12-month greenhouses on the northern High Plains because of the weather,” says Finch, a retired mailman turned geothermal greenhouse engineer. He adds, “The cost of energy is too high for it. But by tapping into the Earth’s heat, we’ve been able to drastically reduce the cost.” His Greenhouse in the Snow captures 52F degree, stable heat from 8 feet below the Earth’s surface to keep the structure just above 28F degrees. Through trial and error, Finch has introduced numerous tropical plants to the greenhouse to see what will thrive. So far, most of his experiments have been successful and he can produce prized Valencia oranges and figs, amongst other treasures, to sell at local farmer’s markets during any month of the year. The greenhouse was built for about $22,000, yet Finch is in the process of fine-tuning newer models with the hope that more people can begin growing local fruits during the winter. Citrus greening disease has caused American markets to take quite a hit recently and transporting fruits across the country takes a toll on the environment. Geothermal greenhouses may be the answer to these nuisances and to our undying thirst for fresh citrus. 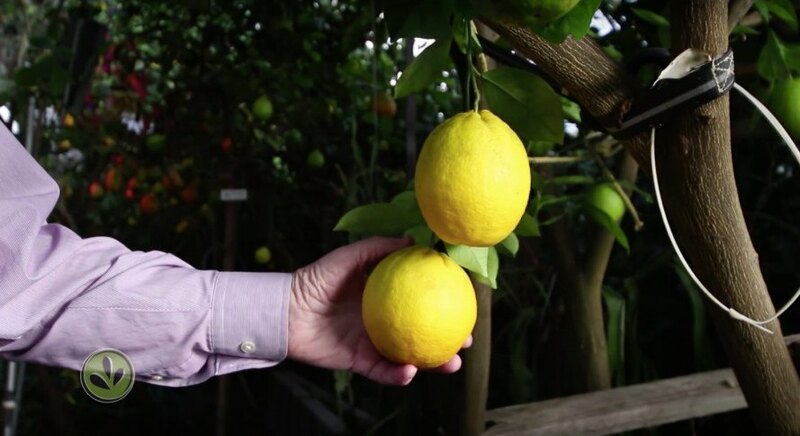 Geothermal greenhouses may be the answer to costly citrus production in the US. 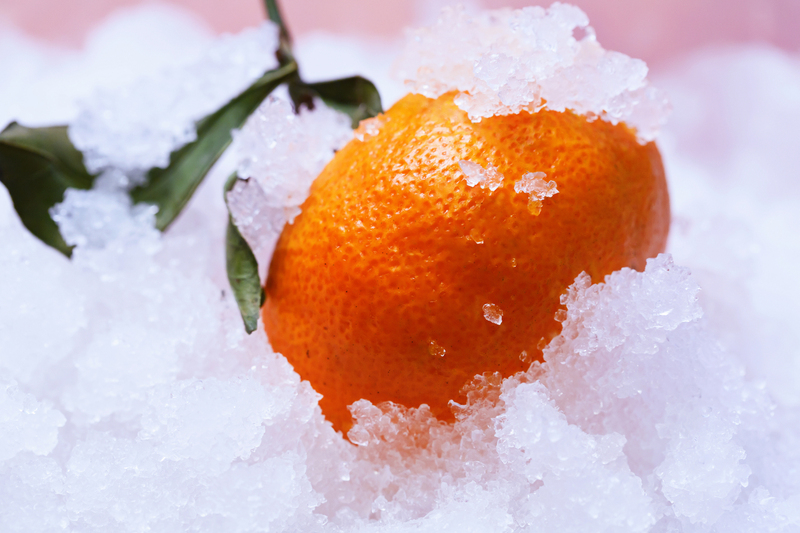 Sweet and delicious Valencia oranges can be grown in geothermal greenhouses, even in the dead of winter. Russ Finch, creator of Greenhouse in the Snow, is in the process of developing improved models.